Just Do Digital (Pty) Ltd is a certified Google Partner. 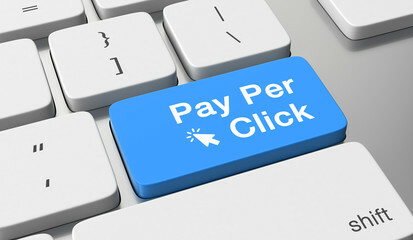 PPC (Pay Per Click Advertising) is the fastest way to create awareness and increase your brand exposure online. With a professional search marketing expert, you can see results from the very first day the campaign is built. Maybe you’ve heard of PPC but were unsure of what it can do for your business, look at our list below to see why your business needs PPC. You save money by only paying when someone clicks. The beauty of Pay Per Click advertising is that unlike traditional advertising models, you get to see exactly where your engagement is, and you only pay when someone engages with your ad. Advertising offline is a gamble, as you’re doing it based on the ESTIMATED reach, and cannot track leads accurately, if at all. See results quickly. Depending on certain factors, you can see results in the first 24hours. Depending on your location settings, your type of business and the competition, you can track your results in term of traffic and conversions from the minute you launch your campaign. Target your chosen keywords. PPC allows you to target keywords you want and exclude keywords that are not relevant to your business. By targeting specific keywords, you can zone in on your target market and maximise your advertising efforts. Can be used in various ways. Besides getting your name out there, your business can make use of PPC for rebranding, promoting a new product or launching your new website. Compete with bigger brands. Your PPC campaign will help your website rank before your SEO strategy kicks in (read more about SEO here) and you can compete with bigger brands. If your PPC campaign manager is knowledgeable, your small business can reap the rewards of operating in the same space as larger established businesses. PPC levels the playing field for small businesses by granting them the same opportunity and exposure to compete with big brands. Using PPC ensures that your ads are displayed to the correct audience, generating relevant leads that you can track. You can also make use of remarketing to reach out to people who have already shown interest in your product or service. Contact us today to see how our PPC experts can assist your business by generating leads online.